There are many sites on the Internet today that offer royalty free music, but most come with a price tag or licensing fee. I’ve compiled a list of sites with royalty free music that are actually free. There’s also artists that offer their music under the Creative Commons License, but it can be difficult finding them through all the sites requiring money. There are different levels of licensing and it’s important that you understand each of them before using any website offering free content. IE: Attribution-ShareAlike CC BY-SA, or Attribution-NonCommercial-ShareAlike CC BY-NC-SA. Incompetech.com – Kevin MacLeod offers his royalty free music creations under the Creative Commons License. 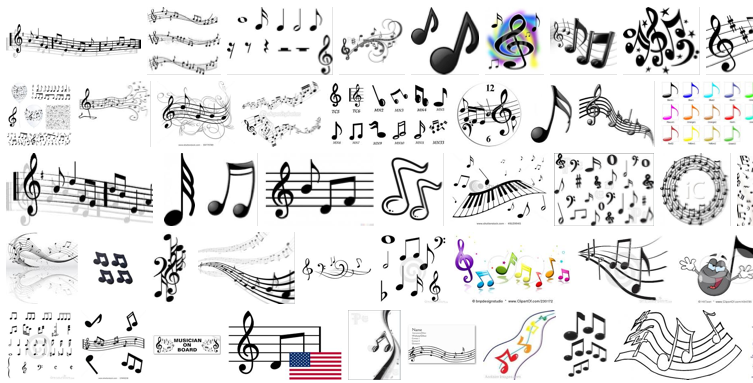 There’s a variety of instrumental music at this site. Archive.org – This Audio Archive contains free recordings of many popular bands. These are mostly recordings of live performances. The bands that allow their live concerts to be recorded and traded are known as Trade Friendly Bands. View all the trade friendly bands and their policies here: Trade-Friendly Band Information and Furthurnet.org Band List. These recordings can only be used for non-commercial purposes. See the FAQ and details page. Internetaudioguy.com – Sells royalty free audio tracks for a fee, but also offers a few instrumental 30 second samples that you can use for free for anything you want. Sonnyboo.com – Has songs you can use as long as you credit the songwriter – Peter John Ross. Publicdomain4u.com – Get music that was published prior to 1922 and are now in the public domain. The public is free to copy and use these works in any way. Soundclick.com – Get a free account at www.soundclick.com. They have many different music artists and genres. Access royalty free music at no charge under the Creative Commons License just change “License Type” to “Creative Commons (Free)”, then select “Genre” and click go. Pacdv.com – pacdv has some instrumentals for you to use royalty free. They just ask that you mention “Music by www.pacdv.com/sounds/” in your credits. Derekaudette.ottawaarts.com – Allows access to his royalty free music under the Creative Commons License. Musopen.com – Musopen is a music library of copyright free (public domain) music. At Musopen they get access to public domain music that have no copyrights so that visitors may listen, re-use, or in any way enjoy music. There’s a lot of classical piano and symphony recordings. As with any site or resource that offers FREE data, audio, pictures or files etc. on the web, always be sure to do the proper research, read and understand the terms of service, and then follow the site or authors guidelines. Make sure you abide and comply with the terms of these sites to avoid any negative or potential problems in the future. Here’s another great new site I’m using for FREE: http://FreeStockMusic.com it’s awesome and has high quality audio. a large amount of work? I’m brand new to operating a blog however I do write in my diary daily. I’d like to start a blog so I can share my own experience and thoughts online.